OFF - The light stays off even when a door is open. 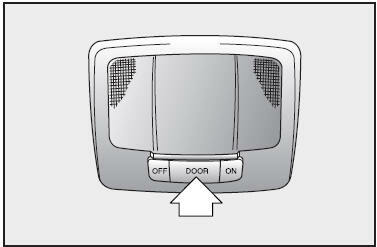 DOOR - The light turns on or off when a door is opened or closed. ON - The light turns on and stays on even when the doors are all closed.